Travelling together is one of the best tests (and celebrations!) of your relationship, but that doesn't always have to mean jetting off to a far-flung destination as a testament to your love -- not that we would ever object. Sometimes all you need is a change of scenery via a romantic weekend getaway and breakfast served in bed as the perfect escape for just the two of you. So we scouted out the best North American hotels to plan an extra-long date night or weekend rendez-vous as Valentine's Day draws near (no pressure). This oceanside Rhode Island mansion that dates back to the 19th century is perched on Newport’s winding Cliff Walk -- perfect for capturing breathtaking views of New England’s rocky shoreline while out on a romantic stroll. Retreat to one of The Chanler’s old-world inspired rooms to cozy up by your fireplace or sink into a butler-drawn aromatherapy bath with a bottle of spiced pear sparkling wine. Cheers! 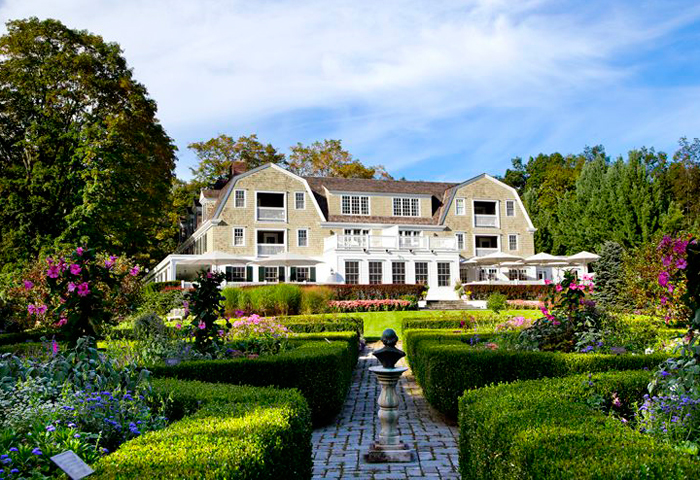 Image courtesy of White Barn Inn & Spa. 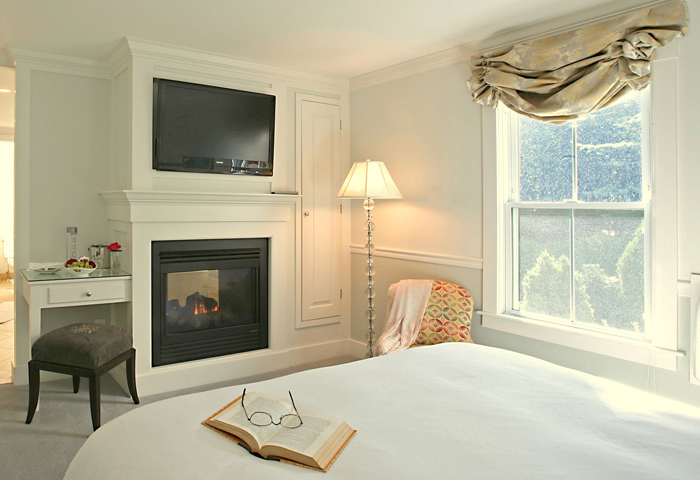 With luxury suites, garden-inspired rooms and cottages, the White Barn Inn is an irresistible, quaint country backdrop for your romantic weekend getaway. Take a hands-on cooking class for two, a deep-tissue couples’ massage (complete with canapés and champagne) or simply soak in your very own Jacuzzi tub for some quality alone time together. 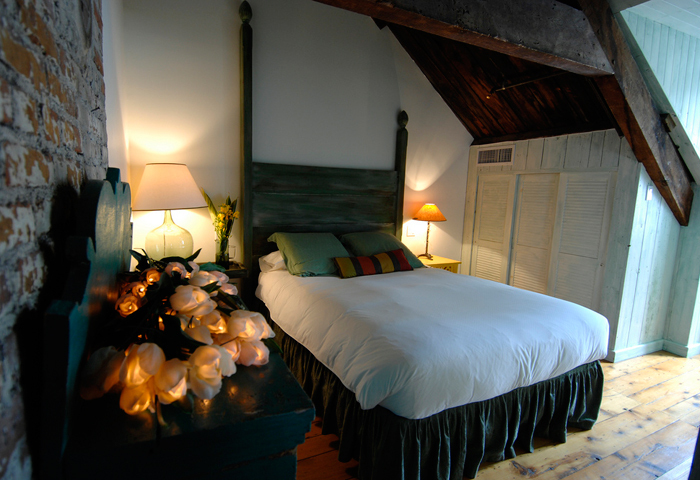 Image courtesy of Auberge Saint-Antoine. There's no denying that its European-inspired charm, abundance of local wine and cheese, and rustic cobblestone streets all help make Quebec City one of the most romantic cities in North America. 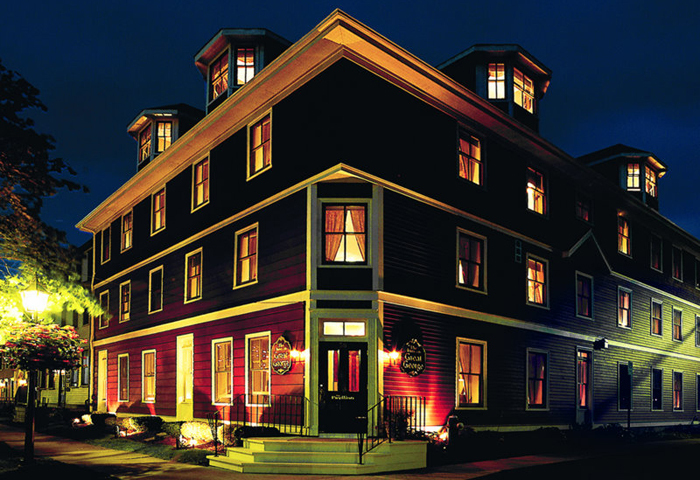 Situated in Quebec's Old Port, this historic hotel in the perfect retreat for cozying up with chocolat chaud (served piping hot upon arrival), soaking up romantic views of the Saint-Lawrence River or bundling up to venture through the surrounding historical district, a UNESCO world heritage site. 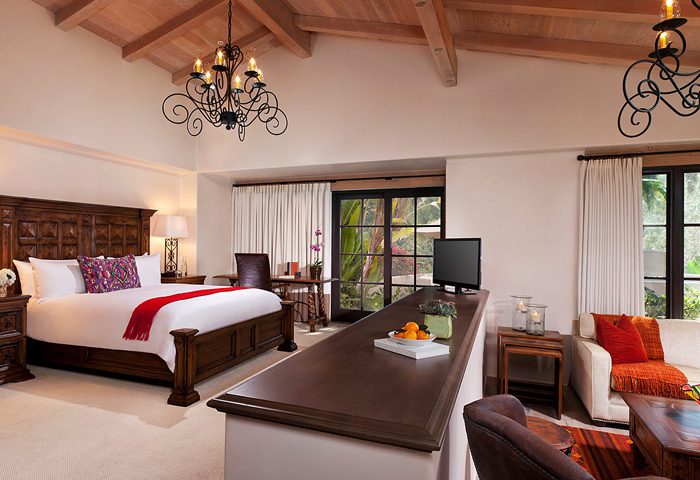 Image courtesy of Rancho Valencia. It's hard not to be swept away by the lush palm trees, surrounding olive groves and beaming Southern Californian sun of this romantic destination. But give it a try and let the farm-to-table cuisine, tequila and prosecco served on tap and nearby San Diego beaches win you over. You won't regret it. 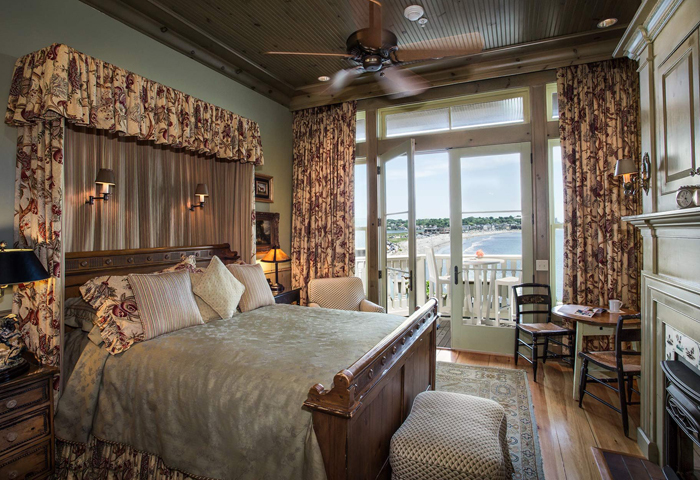 This carefully restored property dates back to 1846, and is as rich in historical charm as it is in modern luxuries -- everything from on-hand fresh-baked chocolate chip cookies to a cozy fireplace in your Romantic Hideaway Suite lends a personal and romantic touch. It's the closest real-life equivalent to escaping to the storybook home of Anne of Green Gables in nearby Cavendish, PEI. Image courtesy of The Mayflower Grace. This stately retreat with cottage-like sensibilities is made up of 30 different luxury accommodations housed in four rustic buildings. 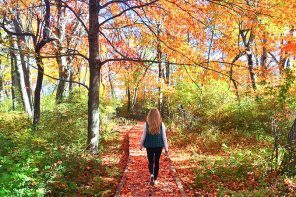 It's hard to believe that this picturesque country property -- with manicured gardens and a world-class spa situated on 58 acres of serene woodland -- is just a two-hour drive from New York City. Plan your weekend accordingly. 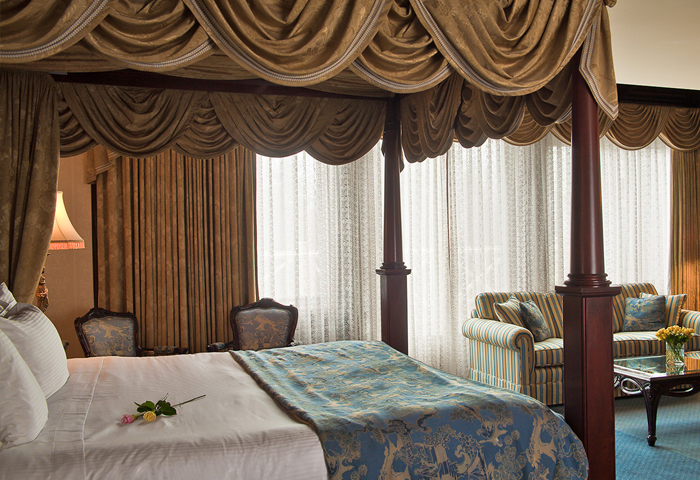 For luxury that's literally fit for royalty, The Prince of Wales hotel offers a regal experience in the heart of Ontario's wine country. 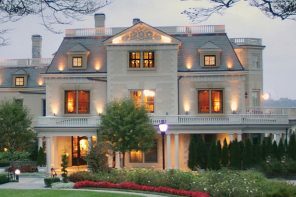 Retreat to the Secret Garden Spa, embark on a wine tour or soak up eachother's company over tea as you face the Niagara River -- the possibilities for adorable Instagram pics (and accompanying hashtags) together are endless.